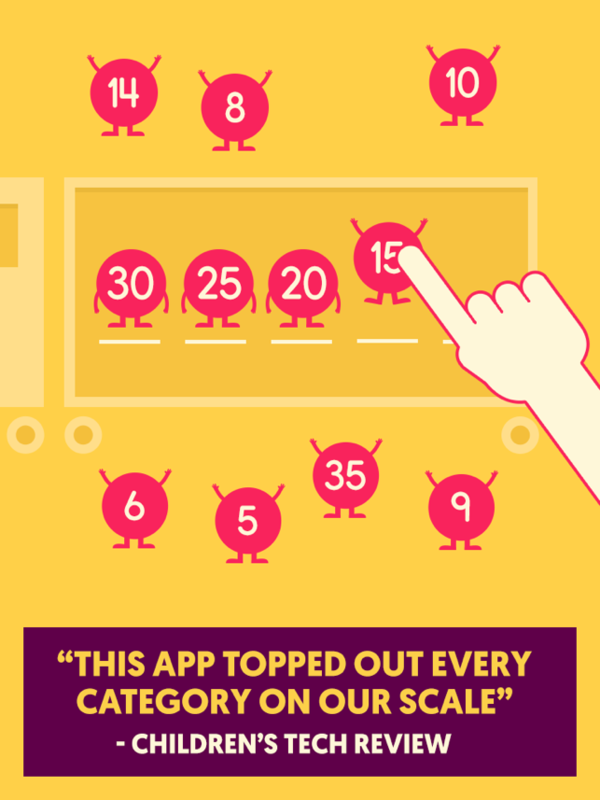 KinderTown loves the app Quick Math Jr. by Shiny Things. 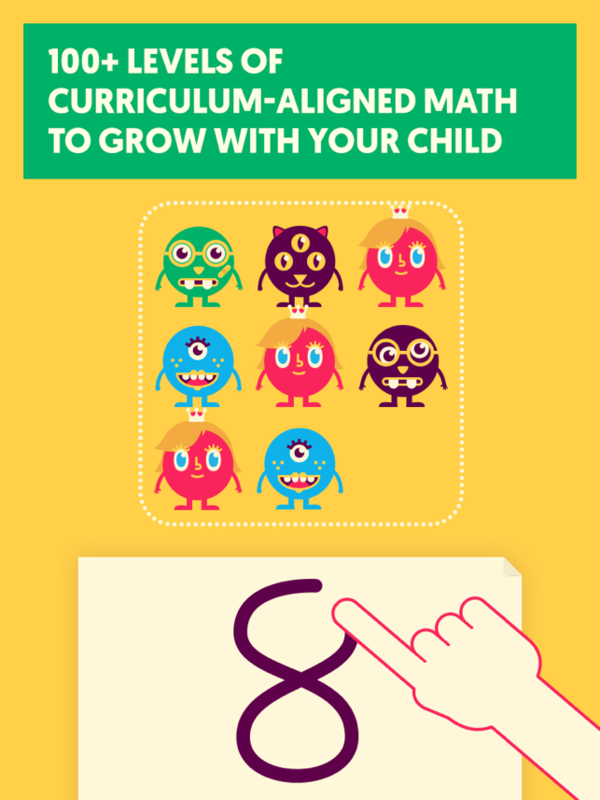 It’s uniquely made to capture kids’ attention and help them learn about counting, ordering numbers, adding, subtracting, and writing numbers. 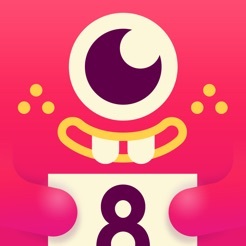 The app is centered on colorful and playful monsters. One of five different game areas is randomly selected when the gameplay begins. The areas are represented by a bus, a light bulb, a pair of eyes, a house, and a train. One of the greatest features of the games is that they automatically adjust to your child’s learning level so they are appropriately challenged as they learn and progress through the app. These games are combined together to create Hustle Bustle Island. The app has 3 different islands available for purchase, each of which provides 3 new games for children. Parents can also elect to receive report card notifications on their child’s progress via email. 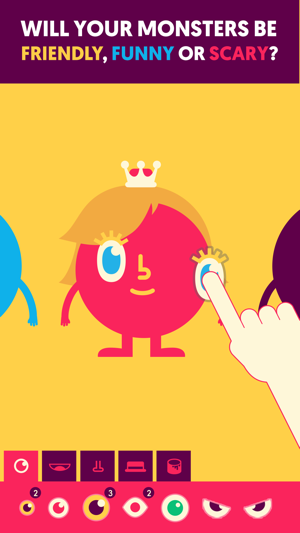 Throughout the game, children can earn different facial features for the monsters, which then appear within the app. Our child testers liked this feature and the ability to personalize their own monsters. The app allows for multiple students to have profiles, so if you have a classroom or multiple children at this level, the app will support each child’s individual development. 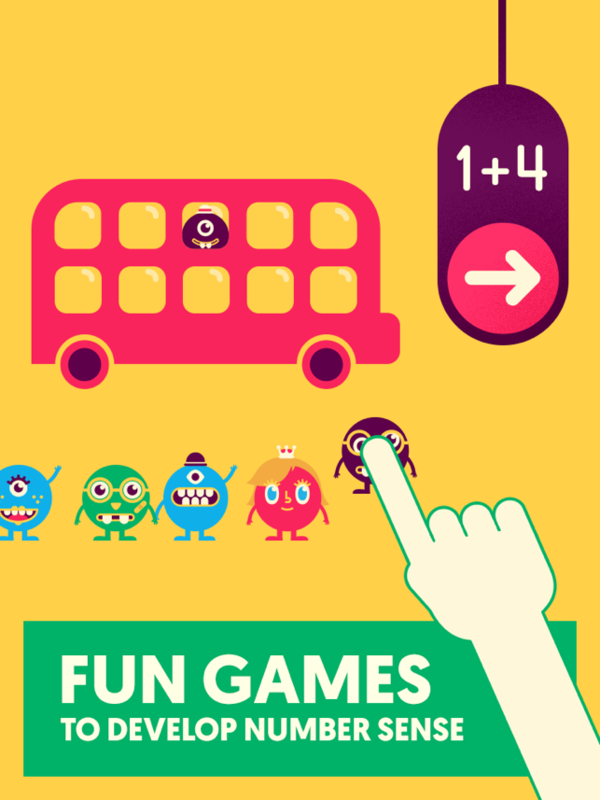 The app is appropriate for children who can recognize numbers and number concepts, starting around age 4, although the ability to add and subtract numbers and memorize the facts usually occurs later. 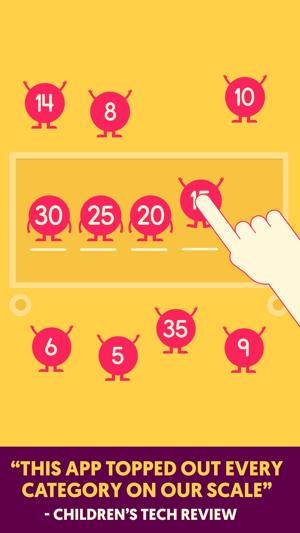 Make sure you read the parent section to find different examples of age-appropriate number games that can be played offline to support your child’s learning and development of numbers. The app is free, but additional content costs $4.99 for each island. Subitizing is the skill of knowing how many items are in a group without directly counting them. Subitizing helps to develop overall number sense and lays the foundation for counting by 2’s, 10’s, and 100’s; adding numbers; and computing mentally. Each of the apps featured on the blog today are free and have been supported through funding by the National Science Foundation. The apps have been researched and tested in learning centers and have been proven to improve early learning math skills when compared with students who didn’t use the apps. All of the apps have a simple interface and have a repetitive nature to the activities presented–a compelling reason to add them to your child’s collection! After using the apps with your children, check out their hands-on activities to support your child’s learning. This app creates every kid’s favorite party scene–a birthday party–to learn about subitizing. Children arrange the friends in the app at tables and distribute items to celebrate. Help your child ride their skateboard through the city and jump to catch the groups that represent a specific number. There are twenty different levels on the skating adventure. The skating is easy to navigate. 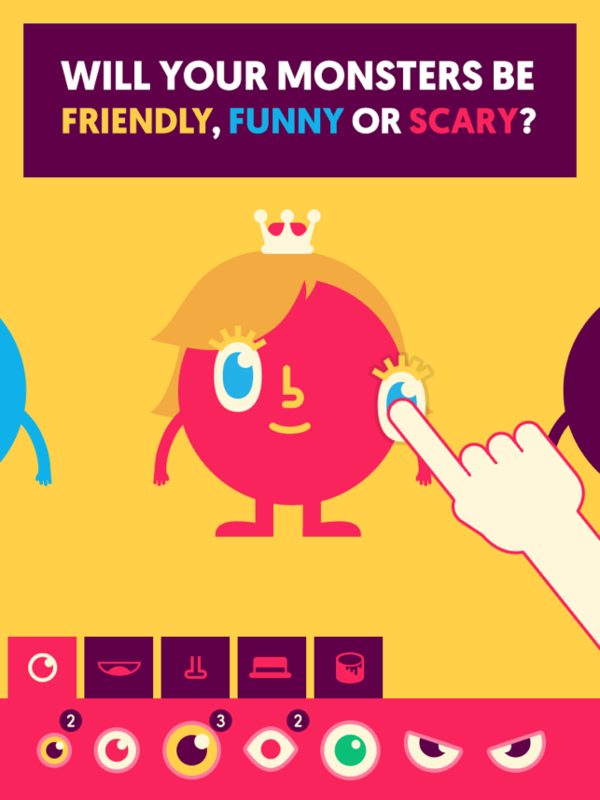 Pop bubbles with your child in this two-person app. The goal of the game is to only pop the bubbles that represent the given number. Each person can lengthen and shorten their rope to pop or avoid the bubbles falling from the sky. 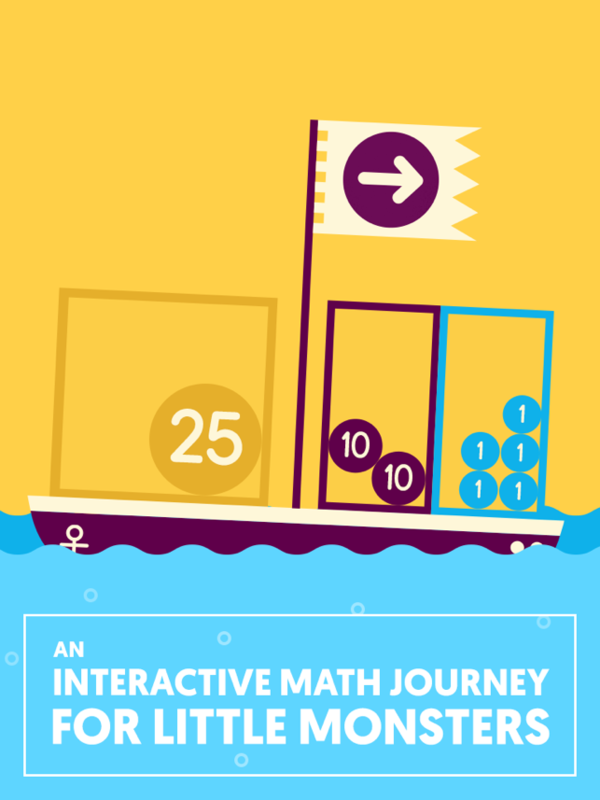 An engaging way to learn about numbers! Play with robots and add stickers to their bellies to make numbers. Then children make the robots hang from a rope, matching them up to make all the robots that contain like numbers hang together from the rope. The best part is shaking the app to make all the robots fall and then starting over again! 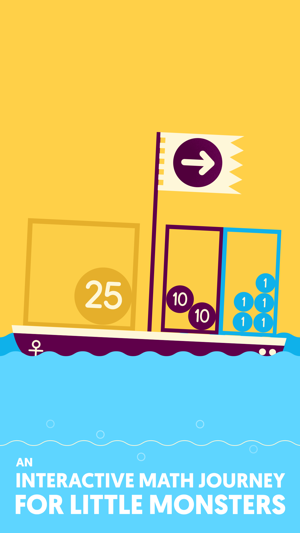 There’s no reason not to try these excellent early math apps.